What do the best travel WordPress themes have in common? Stunning design, for one. A stylish way to showcase your travel pics. Features that will enable you to build a solid community. Powerful customization options. Whatever you might be looking for, we have something for everyone. Whether you’re running a travel blog or travel agency, the themes below have you covered. Browse through our collection and choose the one that best fits your needs. Ready, set, go! 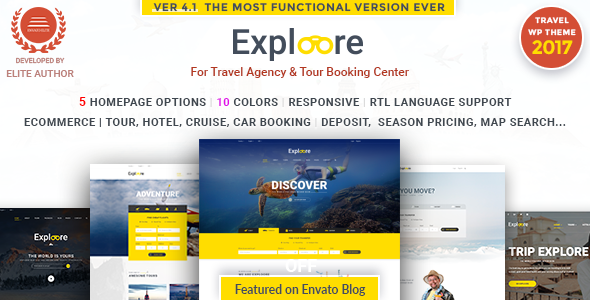 Exploore has tons of features any travel site owner will appreciate. You get 5 home page variations, an advanced search system, and custom post types. A lot of shortcodes are implemented to make your life easier. Not only that, but the theme packs a modern booking system you’ll fall in love with. The Visual Composer and Slider Revolution plugins are included. You save more than $50 just like that. Not too shabby. 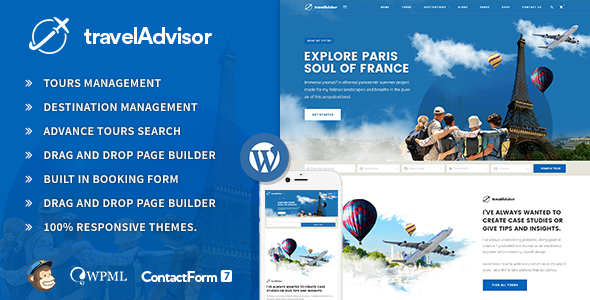 No list featuring the best travel WordPress themes would be complete without Travel Advisor. Packing an intuitive page builder, the theme is very versatile and user-friendly. It comes with remarkable features that enable you to manage destinations and tours. An advanced search function and a built-in booking form are also part of the package. 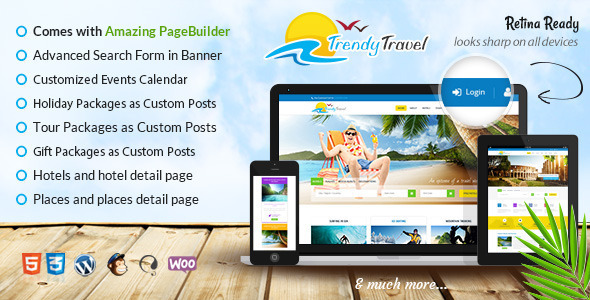 Additionally, Travel Advisor is WooCommerce compatible and bundles the Revolution Slider plugin. No wonder we’re big fans. This WordPress theme comes with advanced booking functionality. It was designed and developed specifically for travel agencies, tour operators, and basically anyone operating in the travel niche. The theme’s long list of features includes a powerful and completely integrated booking system, as well as an availability checker and advanced filtering. If you were also looking for front-end management and a review system, you’re in luck. The Traveler is a complete travel WordPress theme that can enhance any blog in a matter of seconds. This theme was designed by MeridianThemes - a professional team of web developers and web designers. At just $49, The Traveler includes a fully mobile optimized design, one year of updates, a grid based layout, Instagram feed, live Customizer, various layouts and styling choices. If you want even more options you can install the Meridian Style plugin which allows users to make styling changes without altering the theme's code. Take a look at this theme's demo to see what it can do! Another multipurpose theme to fall in love with. 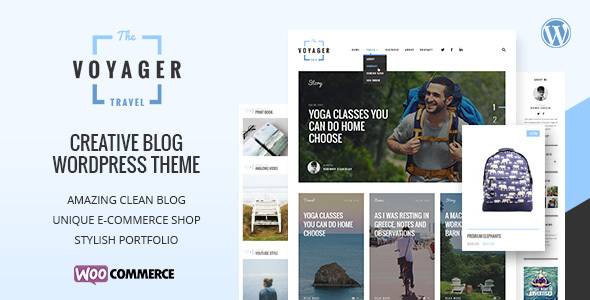 Voyager is the perfect choice for anyone running a blog – whether that blog is about travel, fashion, or lifestyle. Its clean design will dazzle visitors, while its amazing functionality will keep them coming back for more. You get to run your own store and showcase your work via a stylish portfolio. Moreover, there are tons of customization options that will make tweaking your website a breeze. Here’s another great booking WordPress theme targeted towards travel companies/agents. Traveler comes with a powerful admin panel and integrated payment system. It also supports social login and offers a Wish List function. Furthermore, Traveler bundles the Visual Composer plugin, so you can setup your page without too much hassle. Fast and clean, it surely deserves a spot among the best travel WordPress themes on the market. 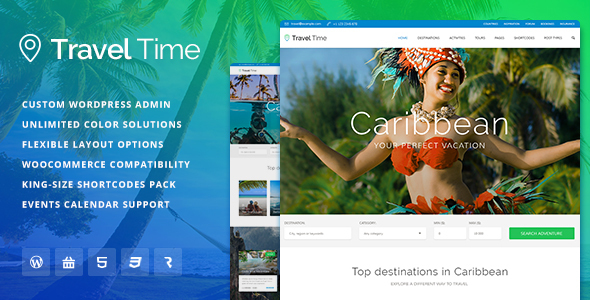 Rounding up our list of the best travel WordPress themes, Travel Time was designed to impress. It’s the perfect choice for all sorts of travel websites. Think travel agencies, hotel websites, travel blogs, resorts, adventure parks, or tour companies. Travel Time has powerful plugin integration and a plethora of features that will come in handy. Last but not least, customization is piece of cake thanks to the powerful admin panel. You can’t go wrong with this one. 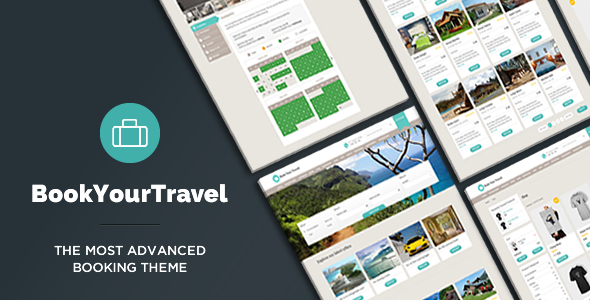 Trendy Travel is a multipurpose WordPress theme. That means you can use it for a variety of purposes. It’s well-suited for travel agencies, hotels, resorts, travel blogs, and so on. The theme comes with user ratings and reviews, a full-fledged blog, gallery and responsive design. It’s compatible with bbpress and offers a user-friendly page builder. Easy to customize, this is a great choice for those looking to build a gorgeous website in no time. Bonus: it bundles the Layer Slider and Revolution Slider plugins. Clean and polished, Altair is great for travel agencies looking to impress. 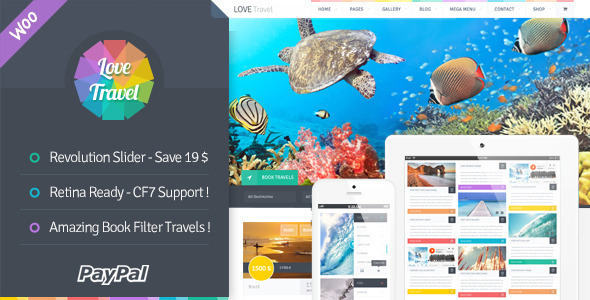 What makes it one of the best travel WordPress themes available? Its eye-grabbing design, for one. The theme has six different tour content page templates which support both full-width and fixed width layouts. You also get a unique booking form and a comprehensive theme admin panel. The parallax backgrounds and advanced tour search features will also come in handy. Colorful and packed with amazing animation effects, Love Travel will help you make a great first impression. 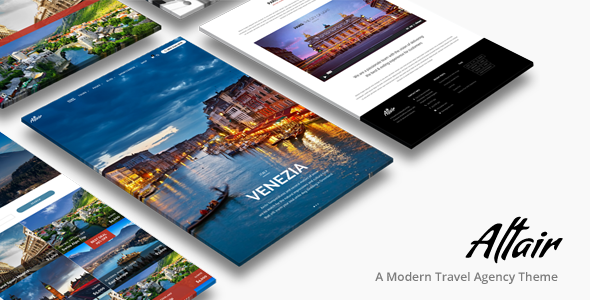 The theme comes with custom travel pages and bundles the Revolution Slider plugin, so you get great value for your money. It also sports a dashing parallax section, as well as an advanced search travel filter. Visitors will be able to enjoy a flawless browsing experience. Meanwhile, you will be able to manage the site with ease thanks to the powerful customization options available. Flexible and extremely versatile, Travel will help you successfully manage any type of website, from a travel blog to world travel guide book. You can choose to turn your site into a community with several contributors thanks to custom tools. Plus, you can also use the directory to build resources such as flights, tours, restaurants and other travel services. 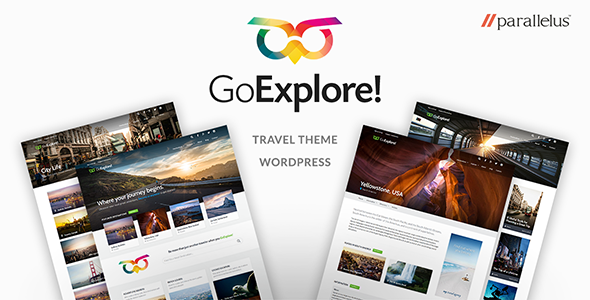 Fun and easy to use, this WordPress theme is a great ally to any travel enthusiast. Why Choose One of the Best Travel WordPress Themes Above? WordPress is a great tool for those looking to launch a travel blog or start a travel agency. It’s a flexible and versatile platform, enabling you to showcase your best travel content in style. The competition is tough in this market. That’s why you need all the tools you can get to put your best foot forward. The best WordPress themes featured above come with tons of customization options. Hence, they allow you to tweak the design to best match your brand and preferences. Moreover, they pack a suite of features that make setting up and running your website easier than ever. You can build your page in minutes and free up valuable time. The perfect opportunity to focus on what’s really important: creating engaging content for your community. Running a travel-centric website is no easy gig. Constantly coming up with content that will wow your audience takes time and patience. That’s why we’re here to help with the technical side of the business. The best travel WordPress themes on our list are insanely easy to install and manage. You don’t need extensive programming knowledge or a dedicated team of developers to get your site online. Less hassle with running the site equals more time devoted to writing about things that your audience values. You will be able to build a solid community in no time.